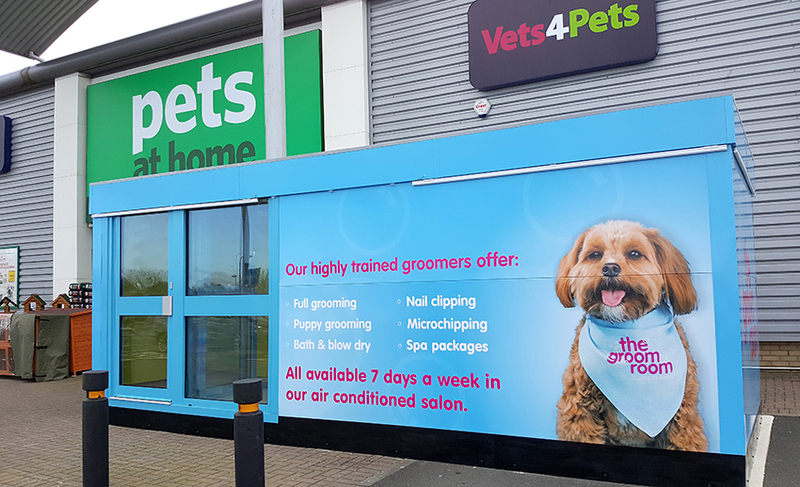 The Pets at Home ‘Groom Rooms’ are a new addition to the UK’s leading pet specialists providing pet owners with all their needs; food, accessories, vet and grooming since 1991. 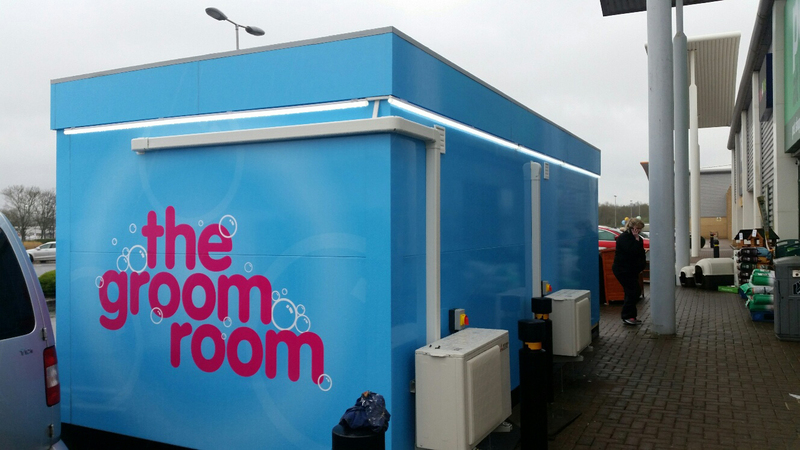 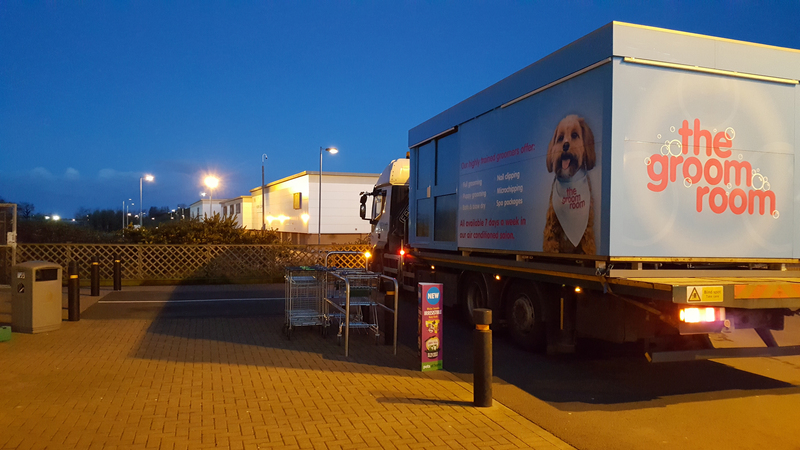 The new pods are part of a national roll out offering a wide range of grooming options including microchipping, nail clipping and full bath and blow dry over 240 sites spread across the UK. 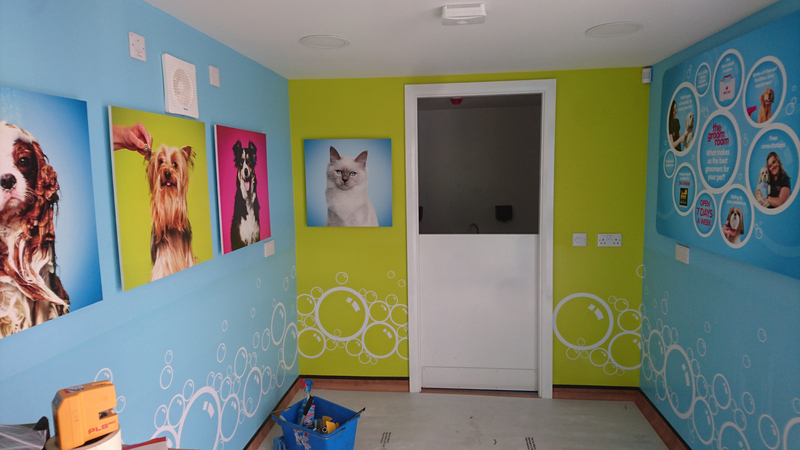 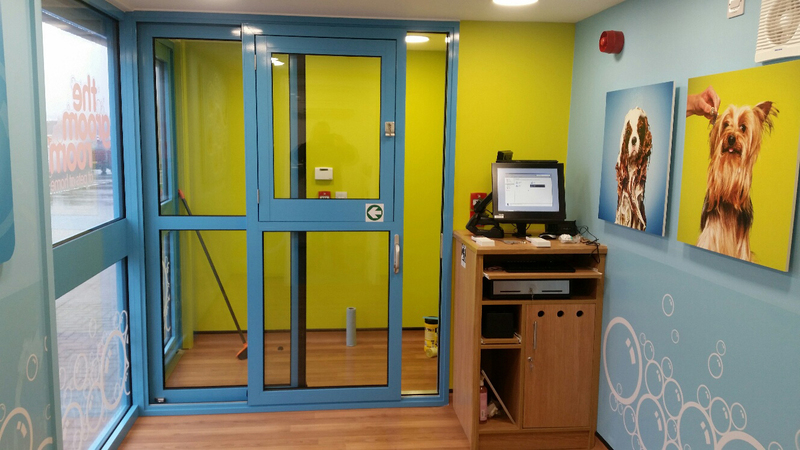 Fully glazed internal sliding doors and bathing facilities for pets were fitted and the pod was completed with vinyl transfers to continue the Pets at Home corporate branding. 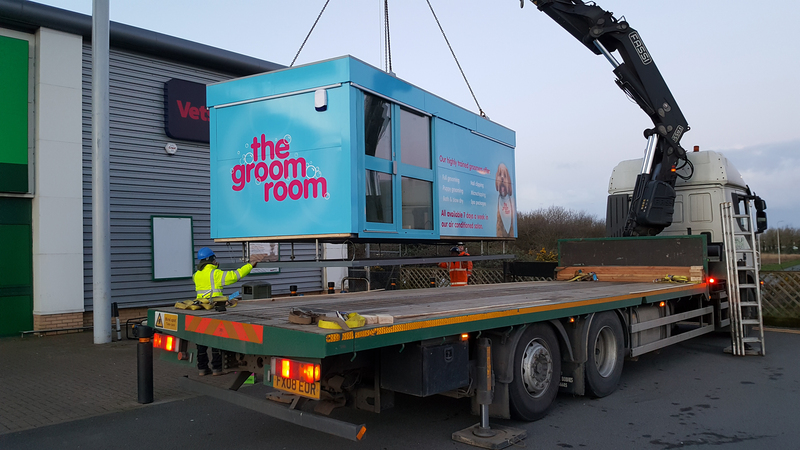 Installation of the units takes place outside of retail trading hours and due to our unique chassis system takes only two hours to complete.